Your company has multiple leases for office or industrial space. You’re represented by a Big 5 Landlord Rep firm, and it’s not working out so well. You’re under pressure to improve it, along with a hundred other things that need improved. So you plan to create an RFP for RE services. I get it. Perhaps 20 years ago now, I had a client meeting in Reno NV. I stayed in a hotel attached to a large casino, and heading back to my room I had to pass through the casino. It was a beautiful place, with marble walls and modern leather furniture. 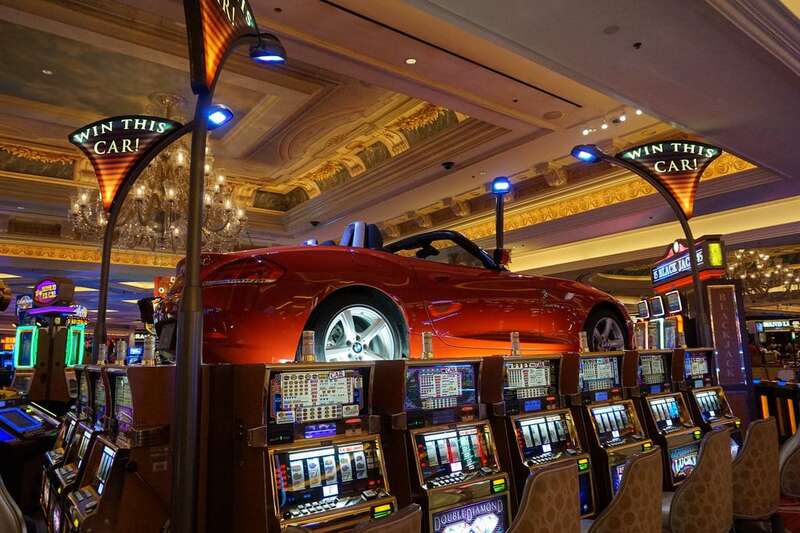 On a bank of slot machines sat a Lamborghini with a sign “Win this Car — $.25”. I’m not a gambler, but I reached in my pocket to check for change and pulled out my one and only coin. A quarter. I looked at the quarter, the car, and the fantastic casino. I put the quarter back into my pocket and headed for the room. They didn’t pay for that place by giving away Lamborghinis, they paid for it by gathering quarters. Since that day, I’ve spent a grand total of exactly zero dollars on gambling, unless you consider the business that I help run a form of gambling. Gambling is an expenditure with an expectation of return, aka an “investment” and you should not invest in anything that does not provide the best available risk-adjusted ROI opportunity. While I’ve had friends tell me that the risk/reward ratio for the car was small enough to justify it, I tend to disagree. Which brings me to the RFP Process. Because we provide corporate real estate services, we regularly get invited to participate in a Request for Proposal to provide our services. They’ll ask questions on our culture, company history, service offering, methodologies, financial structuring, internal quality assurance procedures, organization hierarchy with biographies of key executives and proposed account staff, compensation, client list, case studies of accounts similar to their own and how our thinking outside the box offers a unique solution. Typically, the required response could easily be mistaken for a small book. It is an excellent way to assess the willingness of a real estate firm to invest time in responding to RFPs. Perhaps it is a good way to test for writing skills and check for graphic design capabilities. One thing that I’ve learned is that the Big 5 Landlord Representation firms have fantastic graphic designers who can create absolutely amazing presentations. I’d hire them for graphic design. Aside from the above, what it does not do is provide a methodical way to measure the actual performance of the firm, understand their working strategy and how it applies to your particular situation, know who is really going to be working daily on your account or how much they really care about your issues, assess their ethical behavior, and experience their ability to mesh with your corporate culture. It also does not provide the responding firm with the best available ROI opportunity. Imagine sending out similar RFP’s to a dozen or so candidates for a spouse. Would whatever response was written really be relevant for creating a long term relationship? Would anyone worth marrying need to invest the time to respond? Would your current spouse/sig other have responded? Rather, you would likely want to run the other direction from anyone who did actually respond. We learned years ago that the effort required to respond to a government RFP for our services was not the best use of our resources. If you’ve ever read one, you’ll understand why the U.S. Tax Code contains over 4 million words. It also sheds light on why the government ends up paying $500 for a hammer — it is the only way that the responder can get a reasonable return for their time investment. Our firm stopped responding to them about 25 years ago. We stopped responding to corporate RFP’s about a decade later, with a few exceptions that I think I can count on the fingers of one hand. We will very occasionally respond when it is for an existing client. Perhaps they are considering consolidating multiple relationships, or the executive team has had some turnover and they want a comfort level that we’re providing competitive services and pricing. We won’t respond to an RFP for someone who hasn’t ever experienced our services. First, we just don’t need to and even if we did it is just not the most intelligent use of resources. Our graphics will not be more impressive than the billion dollar global real estate firms, and the content is not sufficient for actually evaluating performance. Think about being the recipient of the aforementioned RFP for a Spouse. Would you respond or, for that matter, even want to be selected by someone who evaluated a potential relationship with a document instead of experience? Most of the data that you’d include in an RFP is available on the company website or with a Google search. The bios are on LinkedIn. Everyone has some people with 25+ years’ experience and can provide a list of references of clients that love them or they would not have survived this long. What is not there can be discovered by a conversation in person, preferably over lunch. How to write that RFP? Skip it. Meet the principals. Are they like you, meaning would they make a good fit with your company culture and values? Do their objectives/strategies align with your own? Try them out. You don’t buy a car before test driving it, and you should not make a long term relationship with a real estate provider without giving them a test assignment or two. I would not be surprised if that Lamborghini (which they probably change out every few months to avoid depreciation) is still sitting on that bank of slot machines, waiting for the next “investor”.